Hyperbaric oxygen therapy (HBOT) has not been clinically proven to cure or be effective in the treatment of cancer, autism, or diabetes. But do a quick search on the Internet, and you’ll see all kinds of claims for these and other diseases for which the device has not been cleared or approved by FDA. 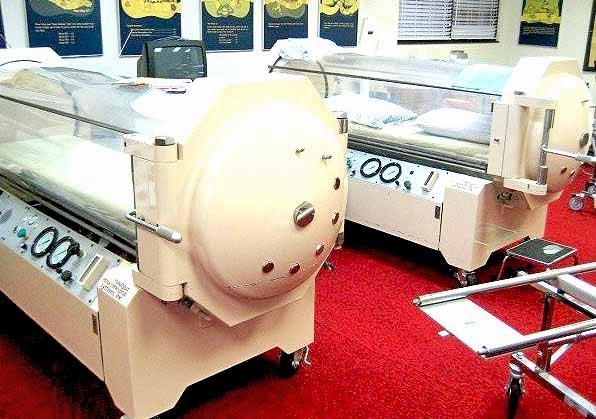 Hyperbaric oxygen chambers are medical devices and are regulated by the FDA. During hyperbaric oxygen therapy (HBOT), a person breathes pure oxygen while in a sealed chamber, reports the Mayo Clinic. This therapy is approved for some medical conditions including decompression sickness, burns and bubbles of air in blood vessels (embolism). The FDA’s website lists the approved uses for HBOT. More information on these treatments for autism is available on the CDC’s website.